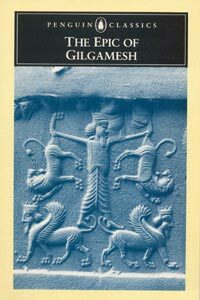 The Epic of Gilgamesh, translated by N.K. Sanders (London: Penguin Books, 1972) pp. 128. Reviewed by: Emmanuel Kayode �In order to know the future you have to know your past.� Dating back since early society, people have always had the same ideas and morals.... A great king, strong as the stars in Heaven. Enkidu, a wild and mighty hero, is created by the gods to challenge the arrogant King Gilgamesh. But instead of killing each other, the two become friends. Reading of Sandar's translation of the Mesopotamian myth cycle. The epic originated in the 3rd millennium B.C., but exists only in fragments from the 2nd millennium B.C. to the 7th century B.C., in Old Babylonian, Hittite, and Akkadian. Gilgamesh, King of Uruk, and his companion Enkidu are the only heroes to have survived from the ancient literature of Babylon, immortalized in this epic poem that dates back to the 3rd millennium BC.